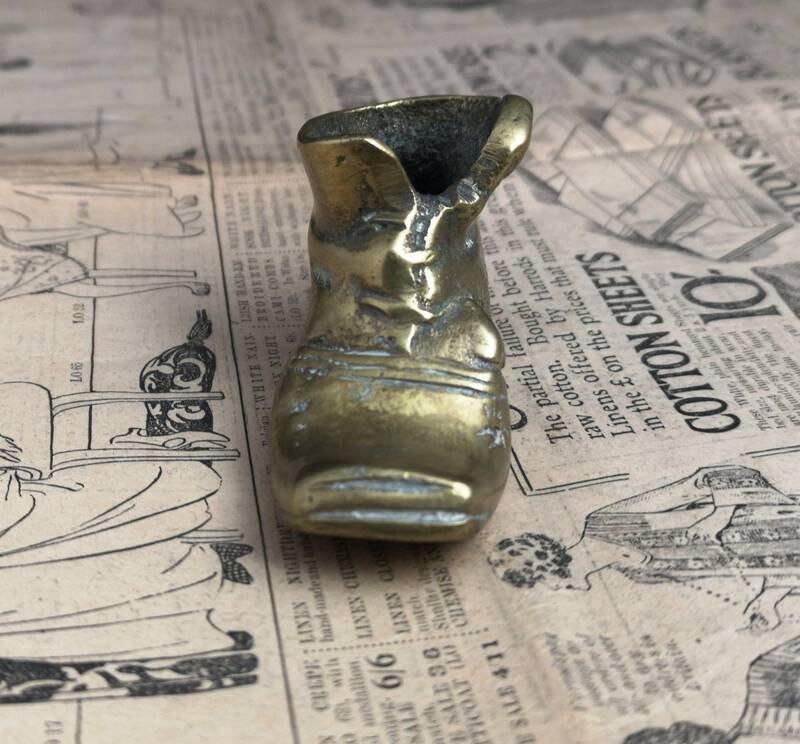 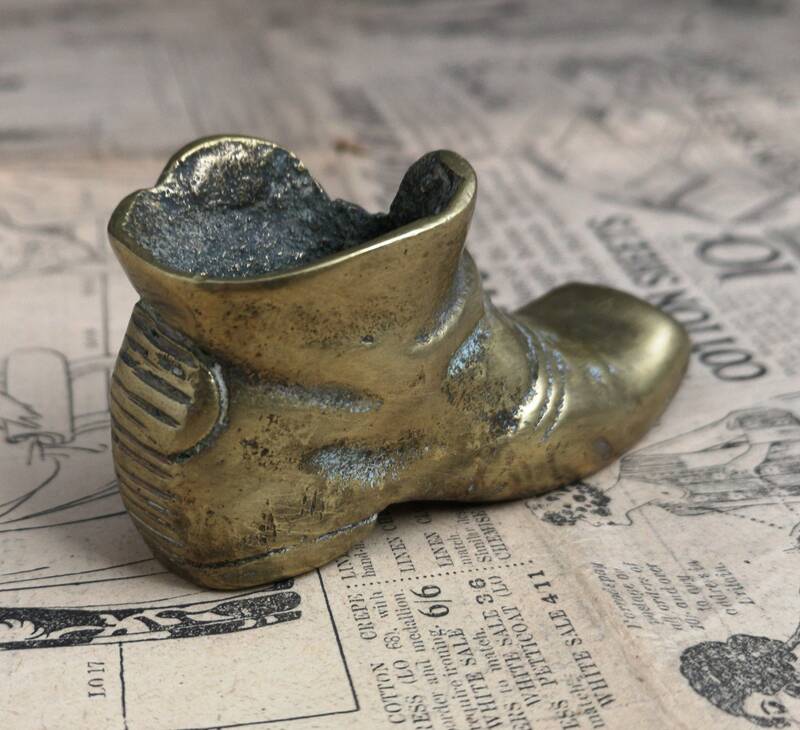 A novelty brass table vesta in the form of a worn old boot. 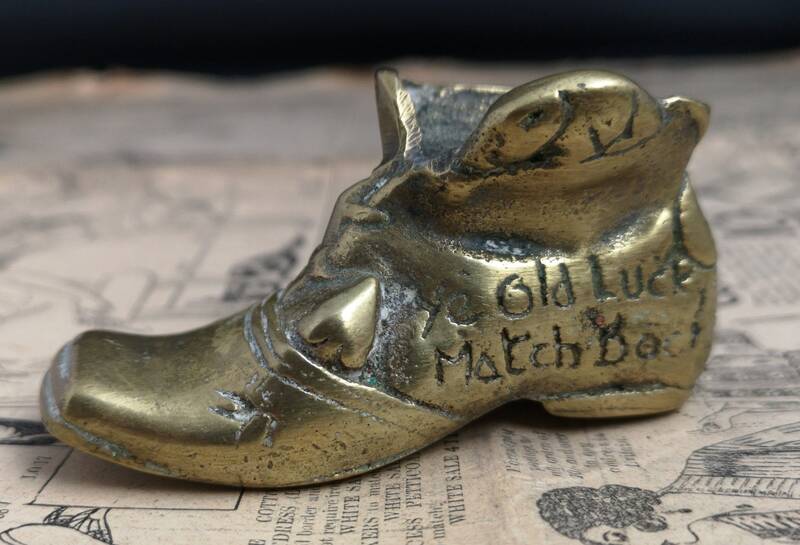 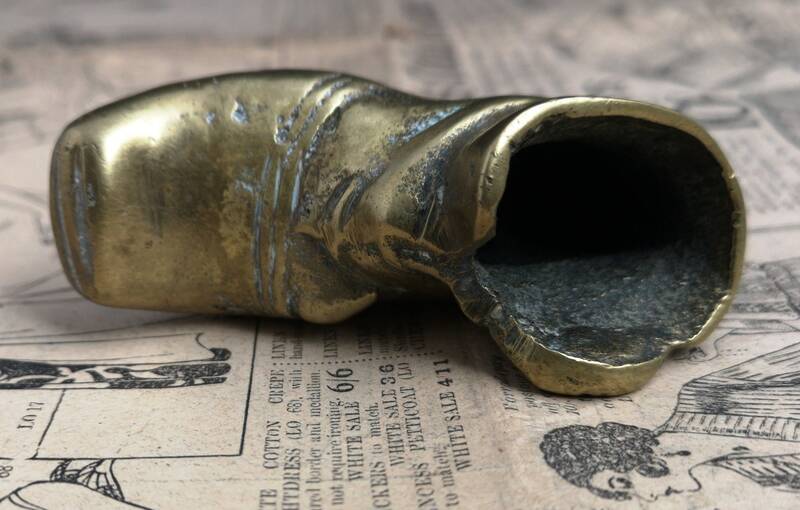 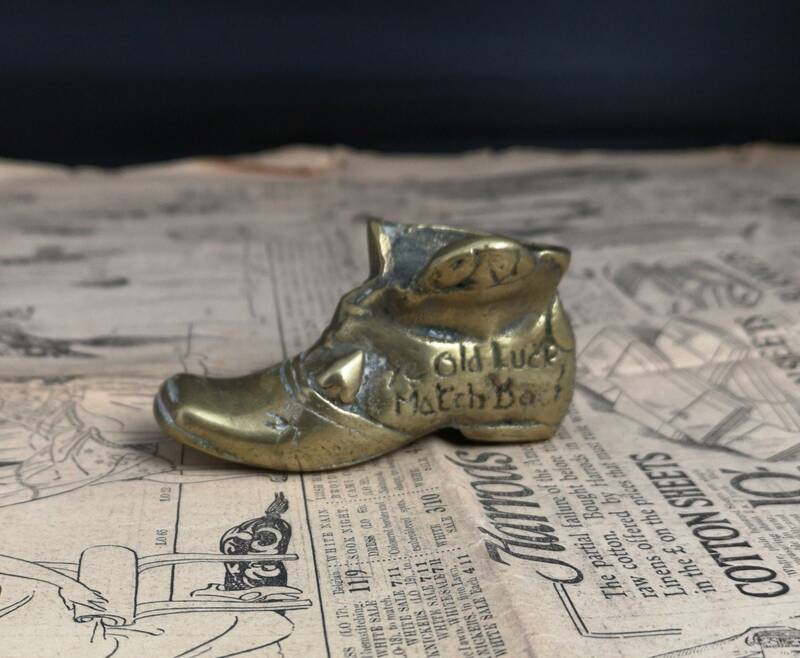 Edwardian era it is made from solid and heavy brass, it is inscribed on the side with ye old luck match boot. 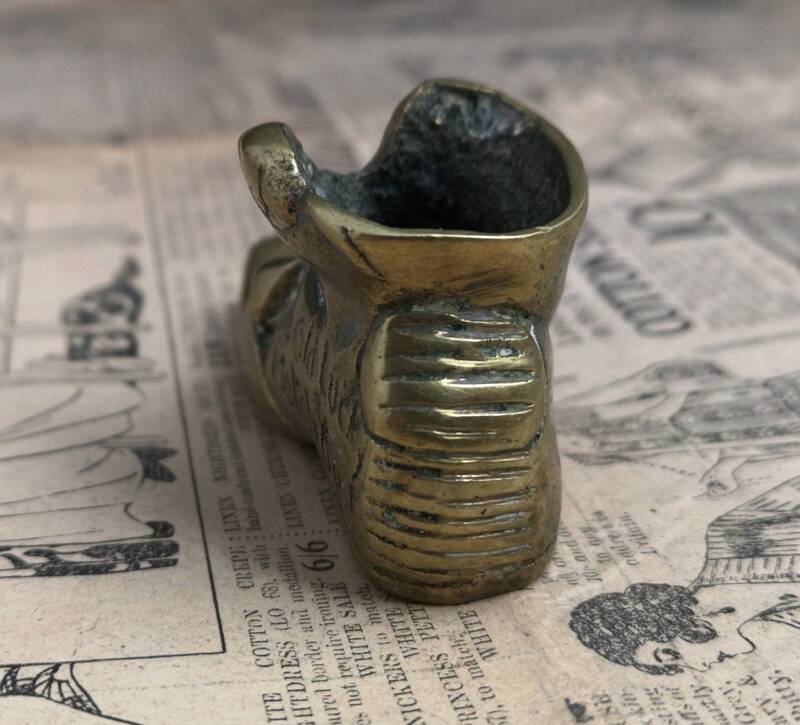 It is open at the top to stand in matches and the back of the boot has a ridged striking surface. 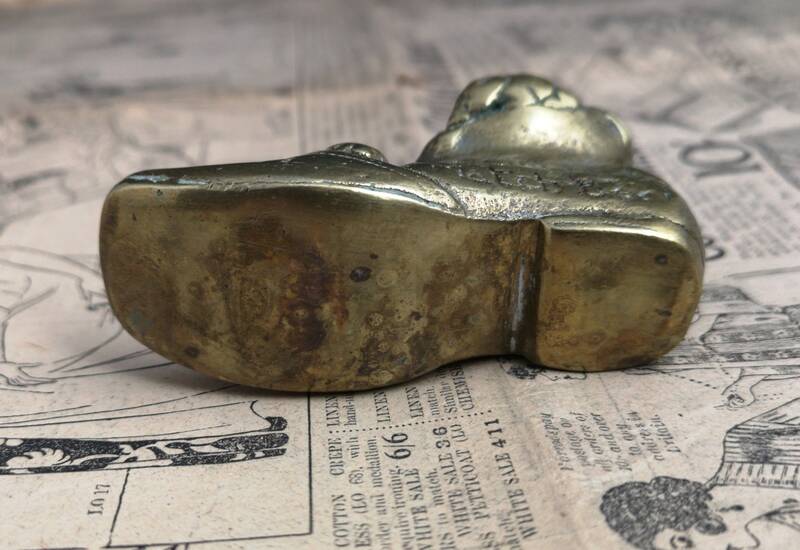 Nice and heavy, good condition some patination of the brass.